Mother Nature may be beautiful, but she is also uncaring and merciless. Out there in the wild, you and your belongings are totally exposed to her dangers. And then there’s a chain of effects; for example, rain-soaked clothes can make the temperature even colder, sometimes leading to hypothermia. Unprotected mobile phones can get damaged when you miss a step and fall face first in a stream while holding your device. 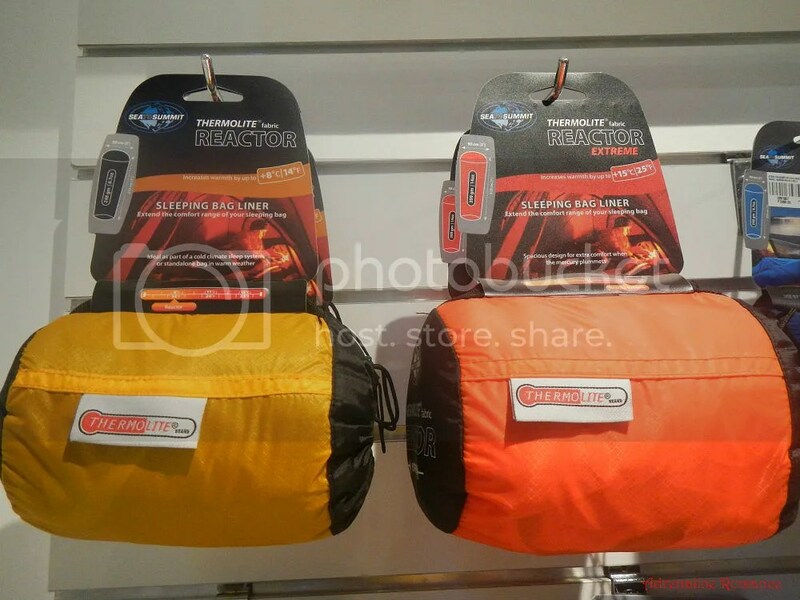 Having the right gear is an important and big deal in the world of travel and outdoor adventure. And for us, the high-quality products from the global outdoor brand Sea to Summit are some of the best and most reliable gears we have ever used. Sea to Summit is an Australian-based privately owned manufacturer of outdoor, travel, and water sports gear. 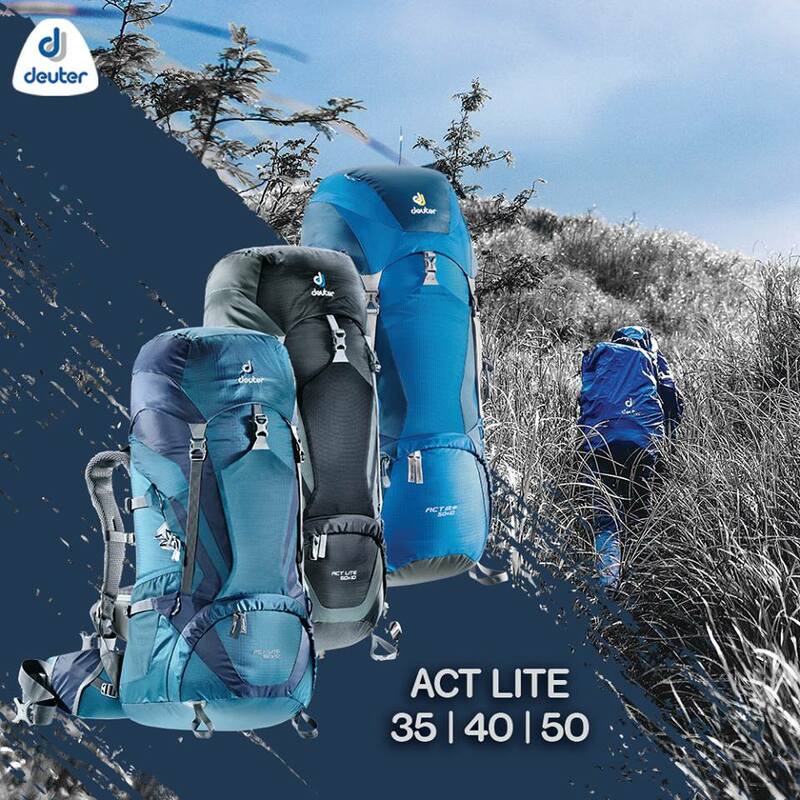 Their innovative, lightweight, durable, and compact gears have won several prestigious awards and are used by outdoor enthusiasts all over the world. 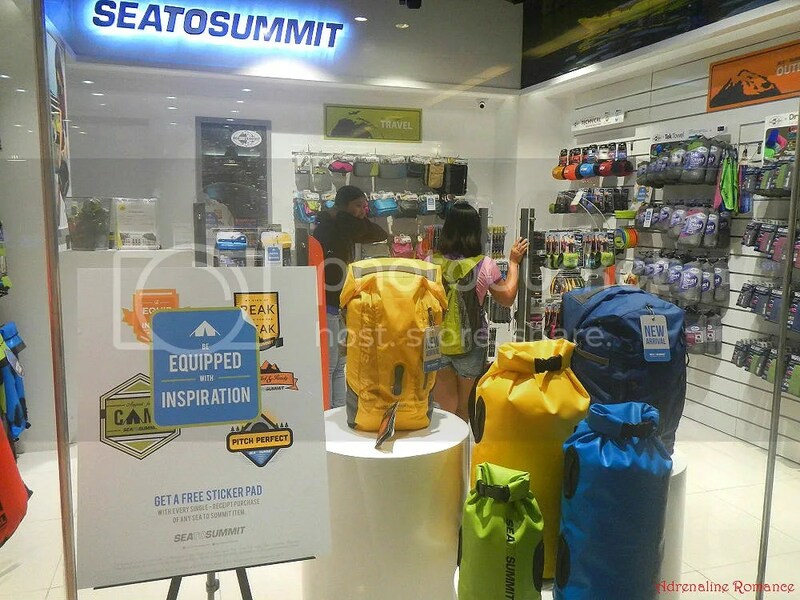 Filipino outdoor enthusiasts are in luck because the company has just opened their first-ever Sea to Summit store right here in our very own Cebu. Specifically, they are located at the second level of SM Cebu North Wing. Just a glimpse from the outside of the store, and you’ll know that they have the right stuff for you. Be equipped with inspiration. Sea to Summit nailed it. Inspiration, more than anything else, is a keystone gear that keeps you going and interested in exploring the world. Let’s check out the interior of the store. As you can see, it is chock-filled with dry bags, dry sacks, waterproof cases, cutlery, and other specialized gear—all you need for traveling and outdoor adventures. Even though the store is small, the products are overwhelming. 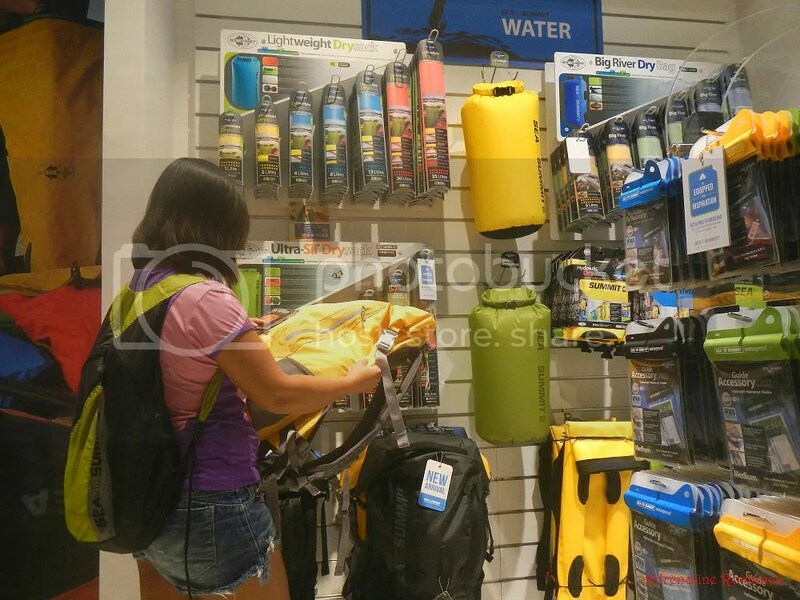 To help you navigate around the products, they are divided and displayed in three categories—Travel, Outdoor, and Water products. Sweetie checked out a new product in the Water section. Feel free to ask their knowledgeable staff if you have any inquiries or concerns about their gear. 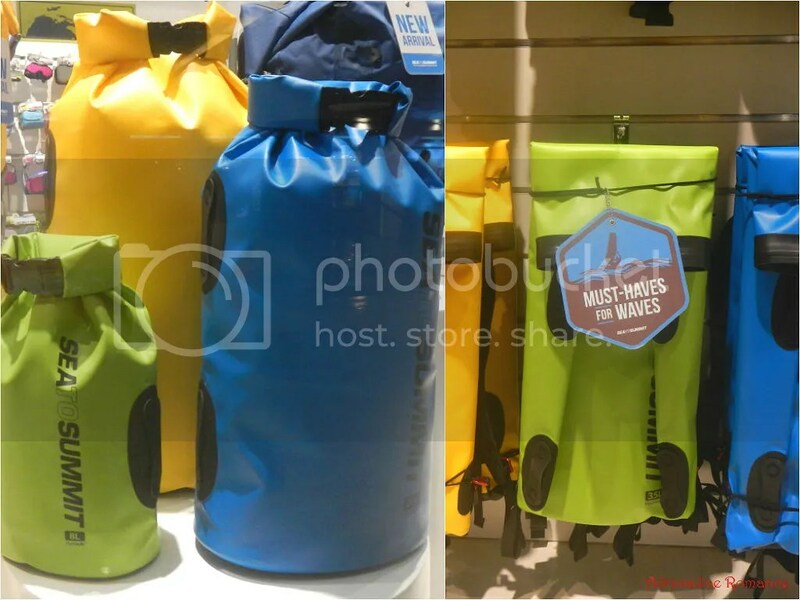 As its name implies, the Water section displays heavy-duty Hydraulic Bags, ultra lightweight dry sacks, and more. Any of these products can protect your clothes, gear, food, and other stuff from water. 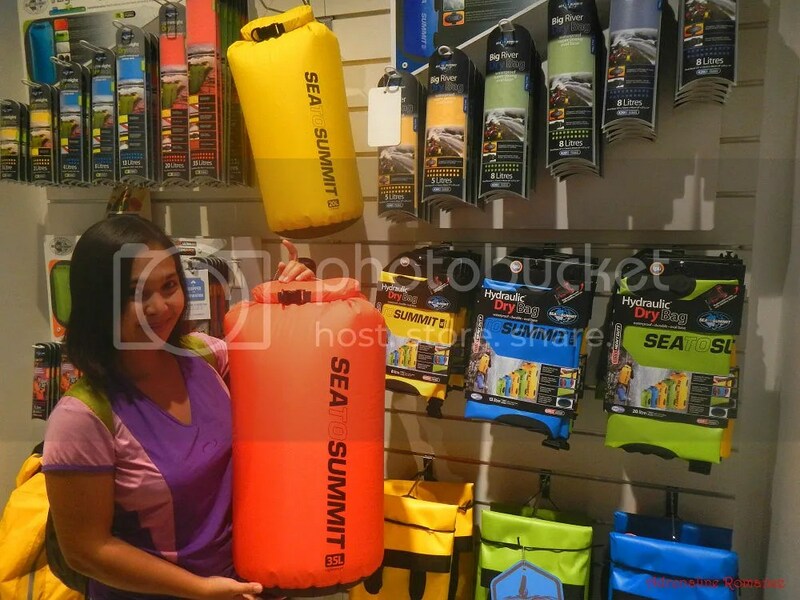 Hydraulic Dry Bags are some of Sea to Summit’s hottest selling, toughest, and most reliable products. 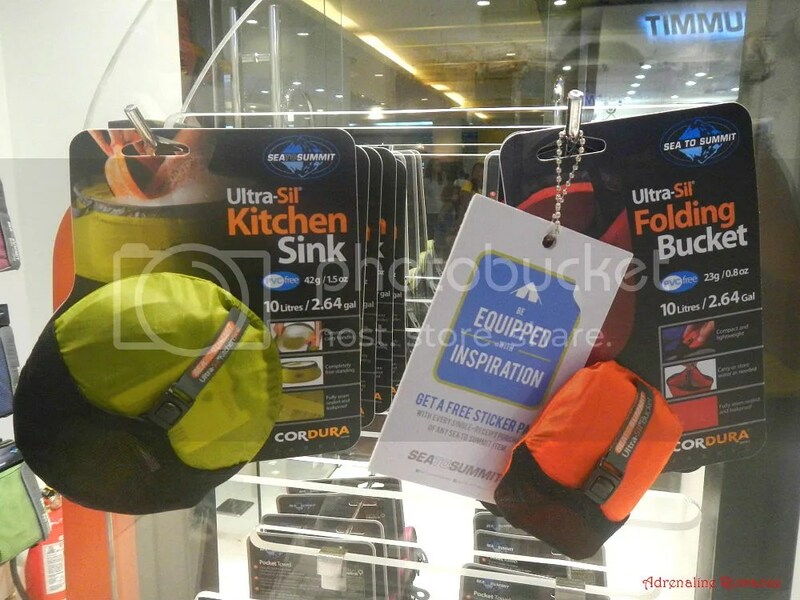 Made of UV-resistant TPU laminated fabric and sealed in the seams, these bags are designed to protect your clothes, gadgets, and other items from extremely wet and cold conditions. 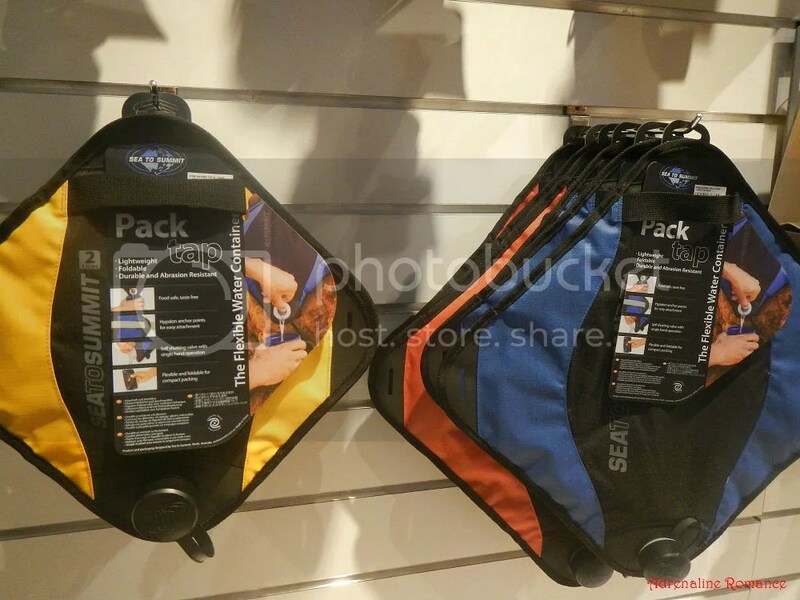 Their Hydraulic Dry Pack is even better; it comes with backpack straps and a removable harness, which makes it easier to carry. We wish we could have these high performance Dry Packs. They are waterproof, tough, and easy to carry. 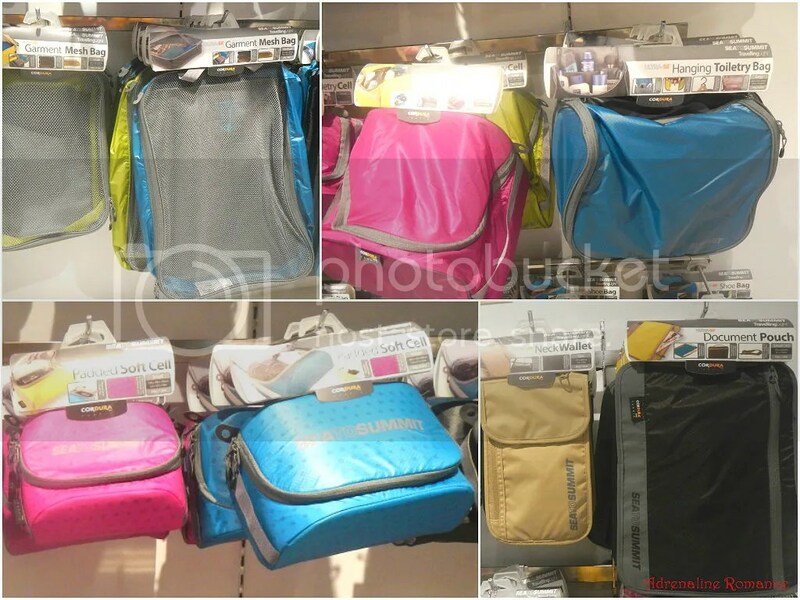 Padded backpack straps and its ergonomic back panel make this pack very comfortable to wear. Of course, they look really sleek and cool, don’t you think? Going places becomes easier and more fun if you have these Sea to Summit Travel products. Let’s check out some of them. Mesh bags make packing clothes easier and more organized. 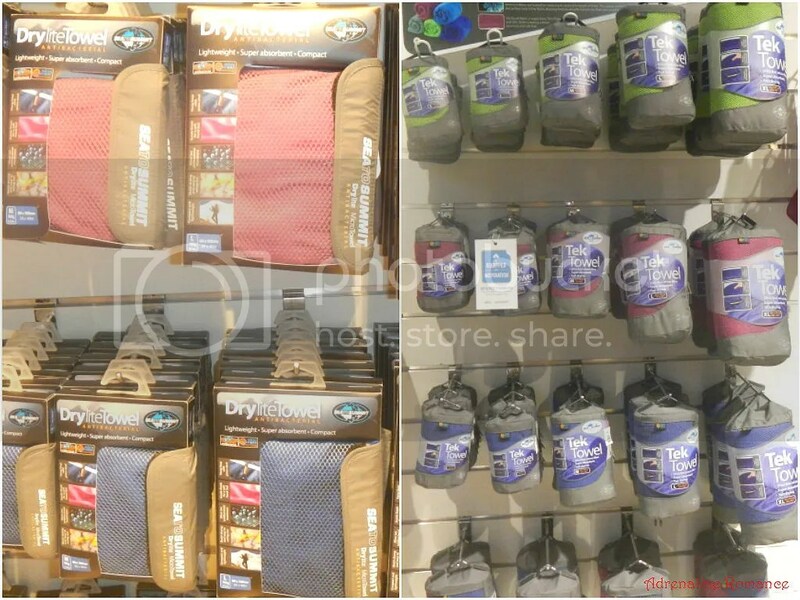 Their toiletry bags are extremely versatile and convenient; you can just hang them anywhere so your toiletries will always be in easy reach. Packing cells are ideal for storing underwear, gloves, socks, and more. And of course, their water resistant document pouches keep your money, IDs, and important papers safe and organized. 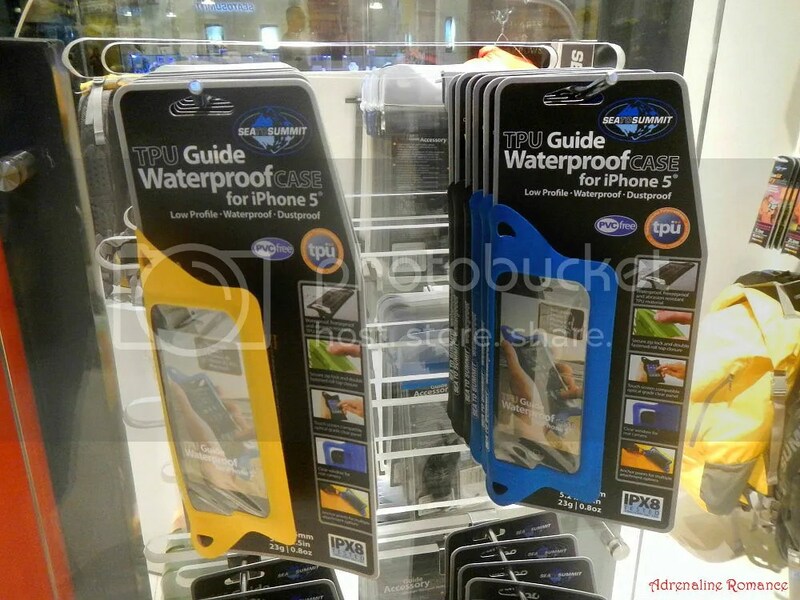 Worried that your high-tech tablet or expensive mobile phone might get wet while you’re island hopping or walking in the rain? Protect them with these transparent, thin, waterproof cases. These light and compact Drylite and Tek towels may not feel like terrycloth like standard towels, but they dry our bodies just as well. They are gentle to the skin, and they dry very quickly. Innovative travelers can use them as bandanas, scarves, sun shields, and more. These versatile towels are truly a traveler’s and adventurer’s best friend. Does your sleeping bag feel cold and clammy? Make it more like your own comfortable bed at home with these warm and comfortable sleeping bag liners. Eating dinner under the stars with just the mountains around you is more fun with Sea to Summit’s kitchen products. 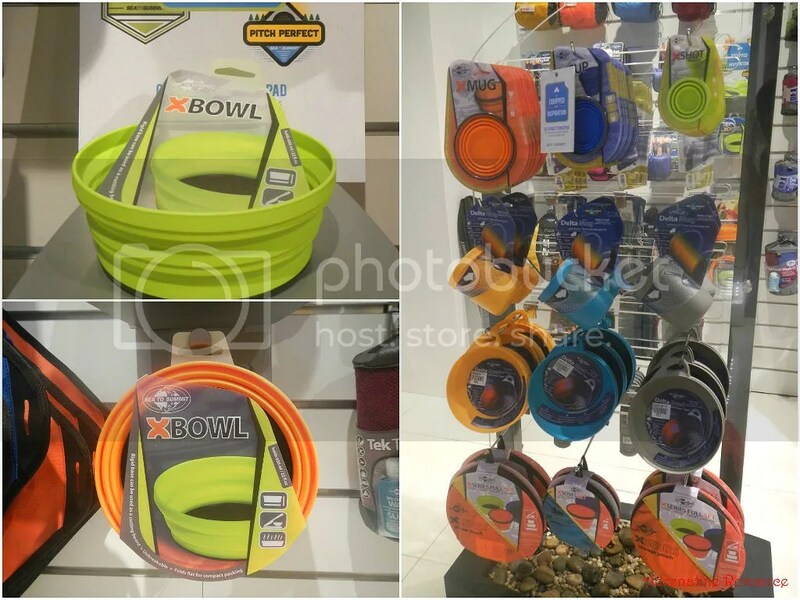 They have collapsible bowls, ultra-light plates, insulated mugs, and more. 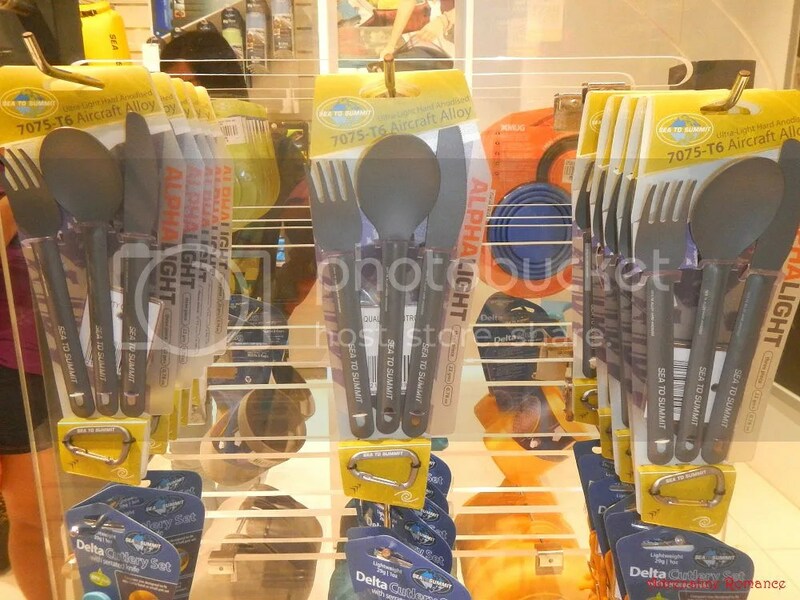 Cutlery goes high tech with Sea to Summit. These spoons, forks, and knives are made out of anodized aircraft alloy, which makes them ultra light and super strong. Let’s look at some of Sea to Summit’s most innovative products. This is the Pack Tap, a portable and foldable water container complete with a spigot. Just fill it with water and bring it to your campsite; you won’t have to go to the water source each time you want to drink! Yes, your eyes are not fooling you. With Sea to Summit, you can definitely bring the kitchen sink with you! They also have a lightweight and foldable bucket, which means getting water is easier and more convenient. 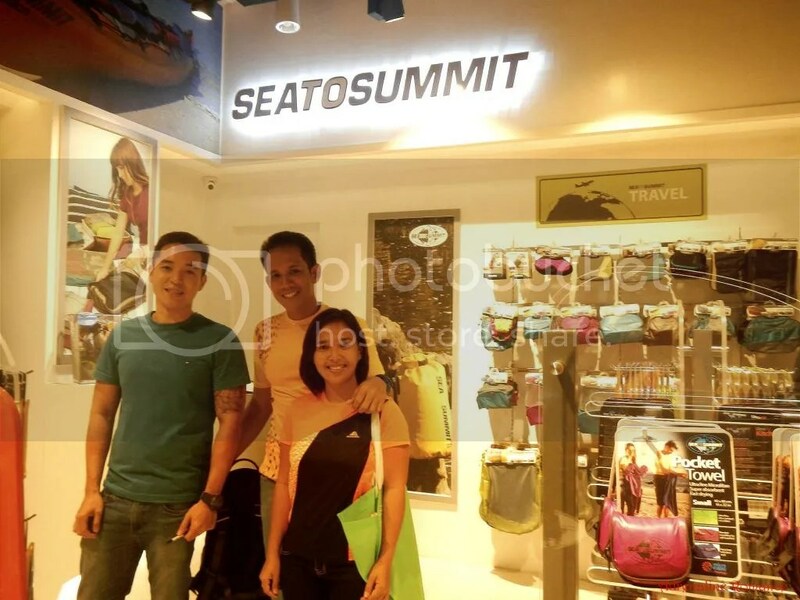 That’s Team Sweetie with Mr. German Ng, Senior Brand Executive of the Primer Group of Companies, the exclusive distributor of Sea to Summit products in the Philippines. 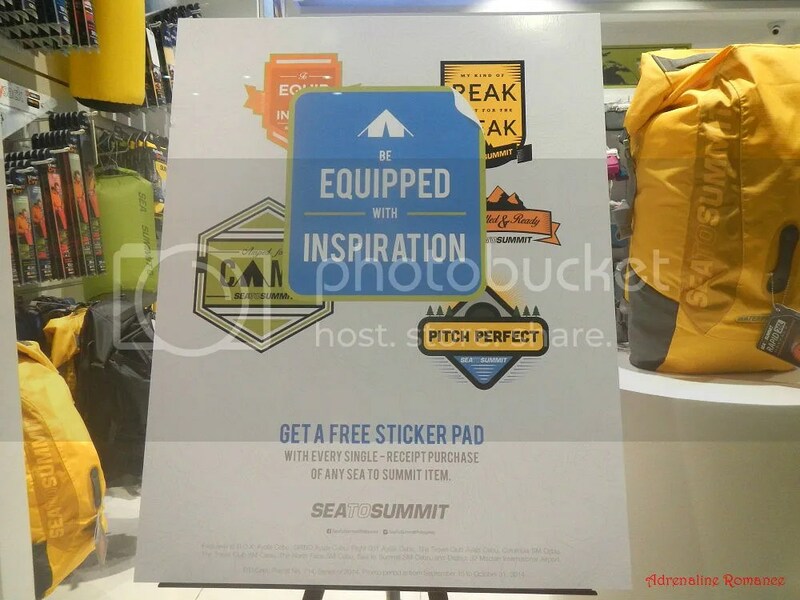 We are actually honored to be invited and officially considered as Sea to Summit Ambassadors. 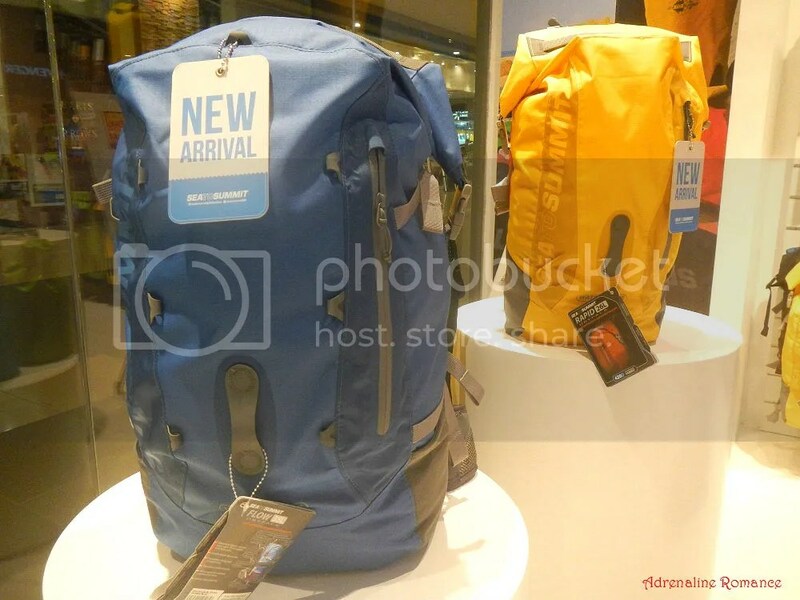 For top-quality travel, outdoor, and watersports gear, don’t think twice! 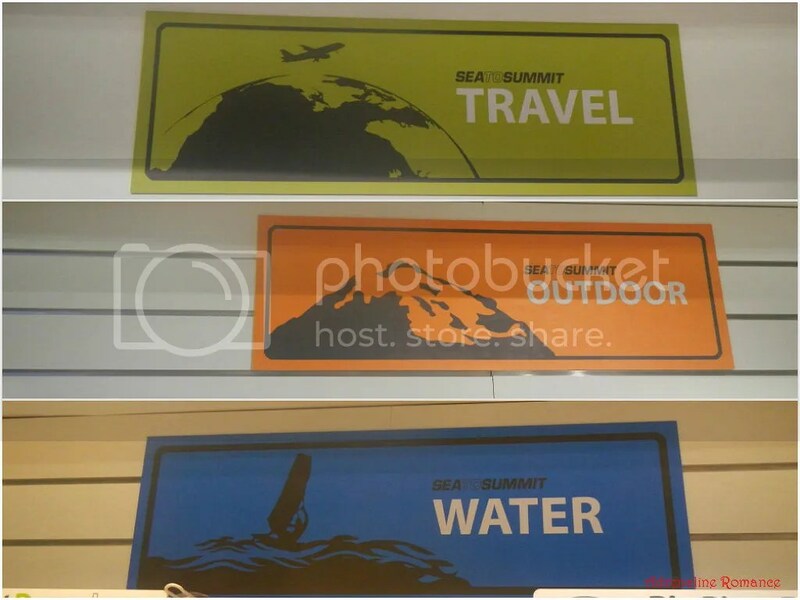 Go for Sea to Summit products! 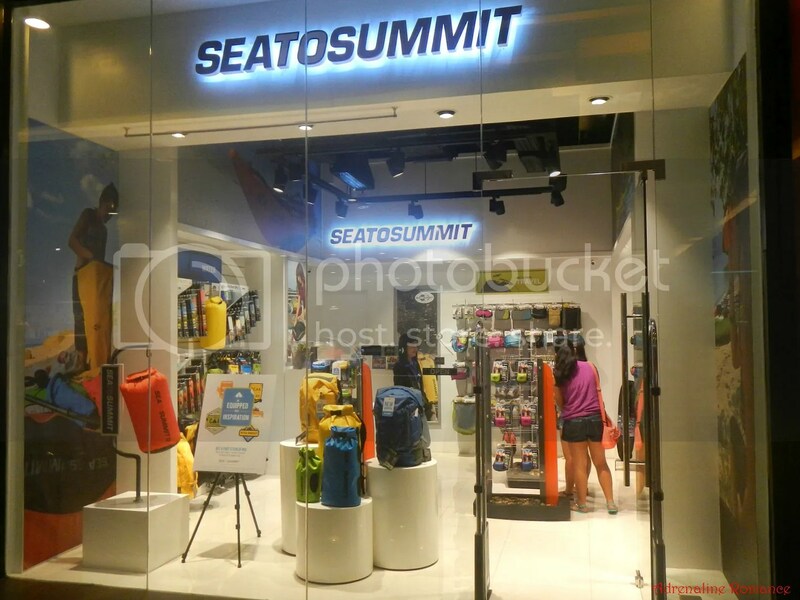 Sea to Summit is available in Sea to Summit SM Cebu at the 2nd Level of the North Wing. 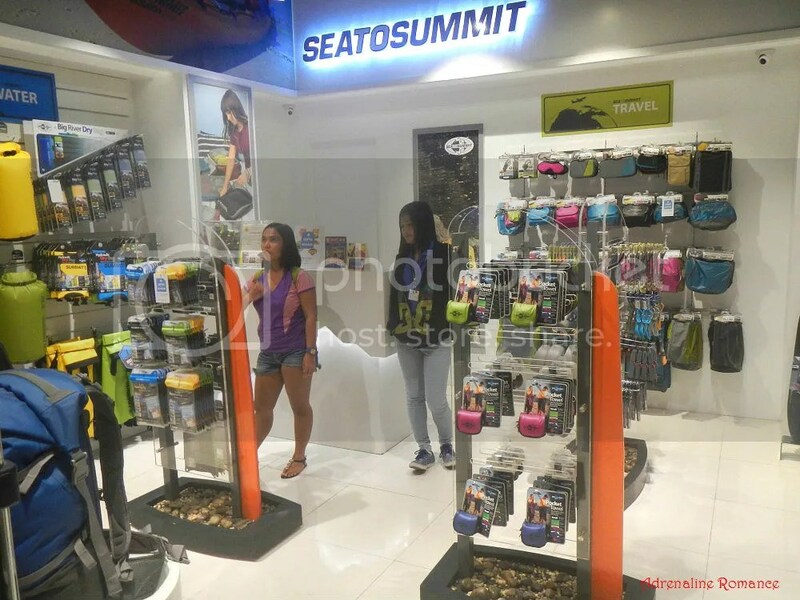 Sea to Summit products are also available in all ROX Philippines outlets as well as in Columbia Sportswear Company, District 32 Mactan International Airport, Duty Free Philippines, Eddie Bauer, Flight001, GRIND, Le Grand NAIA Terminal 3, Mountain Hardwear, Olympic Village World Alabang Town Center, Rustan’s, Salomon, The Landmark, The North Face, and The Travel Club. Buy something that is needed and useful. One should also consider the quality of the needed product as we’re talking about our lives here. Thank you for posting. Keep it up! Very true, Lovekoanawangin. That’s why we never buy imitations when it comes to outdoor gears. The right gear is essential for safety and convenience in the outdoors.